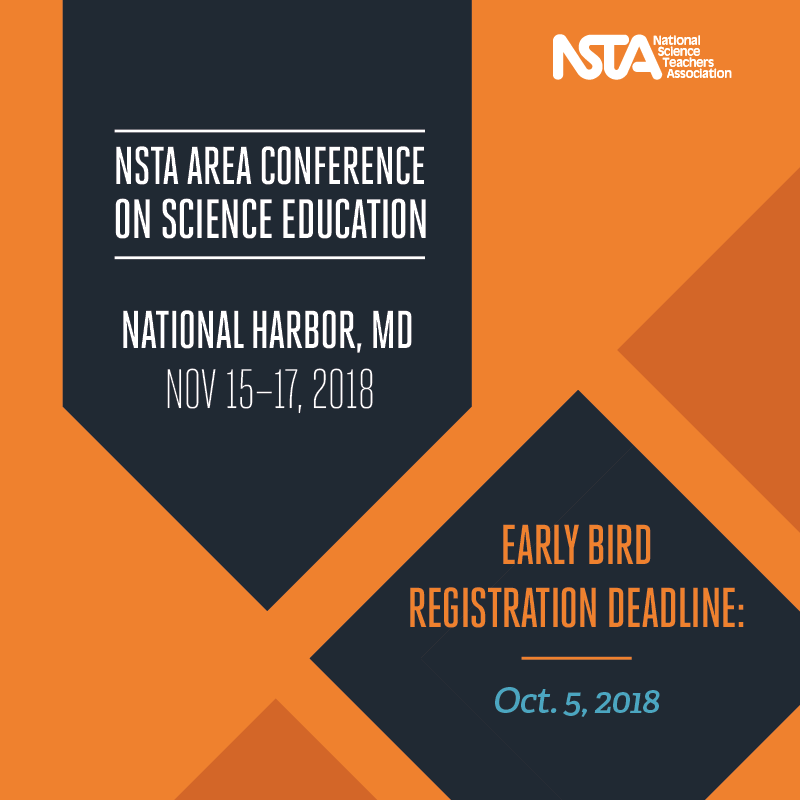 MAST is co-hosting the 2018 NSTA Regional Conference Science Education: A National Priority at National Harbor, MD (just south of DC), November 15-17, 2018. Don't miss it! Free Webinars from Houghton Mifflin Harcourt HMH is excited to announce our free Fall Science Webinar Series is beginning on Tuesday evenings in November! Our Fall Series continues the conversation around practical application of best practices in science education and we have added a live Twitter chat for each session in which you can interact with additional questions and conversation both during and following each session. Each hour-long session will begin at 7pm Eastern time, but if you cannot attend live, you can still register and receive the recording of the webinar which you can watch at your leisure. For more information and to register for any or all of the webinars, visit: http://learn.hmhco.com/HSSCI-Fall-2018.